I am showing here a render of a commercial piece I worked on a while ago, with some modifications—the label has been replaced with one of my own invention. 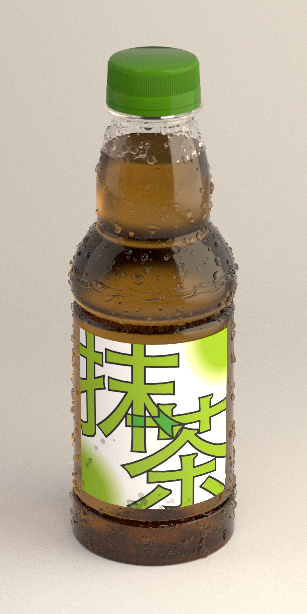 For those interested, it reads matcha, the word in Japanese for green tea. condensation drops to add a bit more interest. node to the Material output Volume socket. It is just awesome! 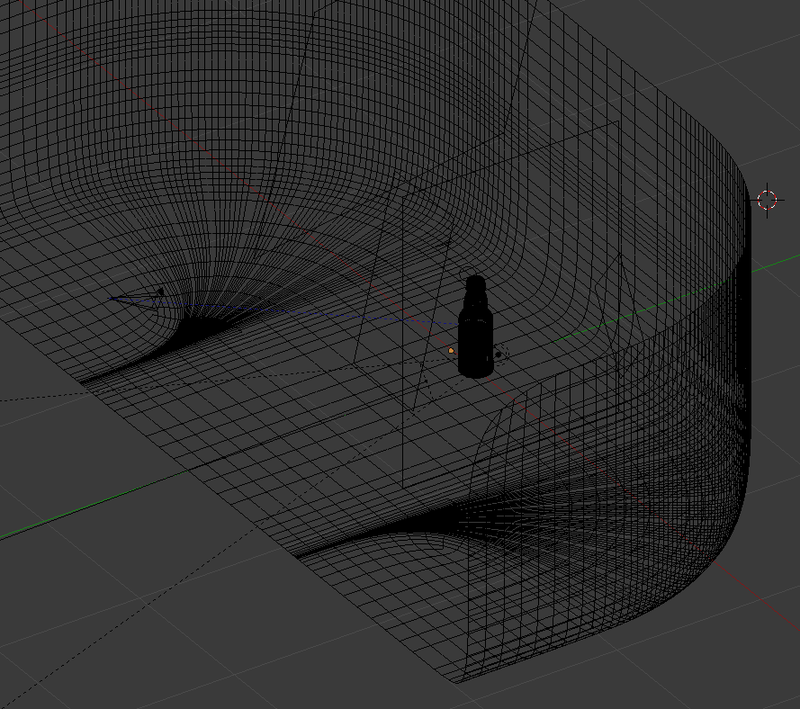 As for the scene setup, I am showing here a screenshot of what it looks like. It's nothing too fancy: just a few lights an a studio backdrop. 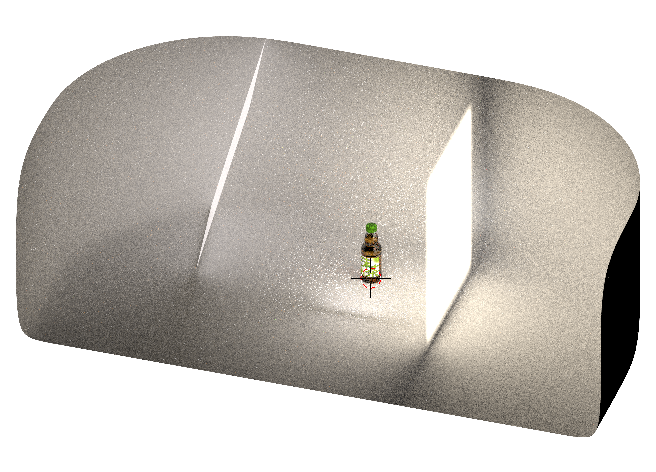 I love how Cycles lets you see the studio setup as a rendered image, it looks awesome! Image 4. Who can read a wireframe, anyway?